ROME, Aug 30 — Around 6,500 migrants were rescued off the coast of Libya yesterday, the Italian coastguard said, in one of its busiest days of lifesaving in recent years. Dramatic images of one operation showed about 700 migrants crammed onto a fishing boat, with some of them jumping off the vessel in life jackets and swimming towards rescuers. A five-day-old baby was among those rescued along with other infants and was airlifted to an Italian hospital, according to Doctors Without Borders (MSF), which took part in operations. “The command centre coordinated 40 rescue operations” that included vessels from Italy, humanitarian organisations as well as the EU’s border agency Frontex, saving 6,500 migrants, the coastguard wrote on Twitter. “We’ve been particularly busy today,” a spokesman for the Italian coastguard told AFP. On Sunday more than 1,100 migrants were rescued in the same area. The total number of arrivals in Italy this year now stands at 112,500, according to the UN’s refugee agency and the coastguard, slightly below the 116,000 recorded by the same point in 2015. Almost all of those migrants originate from West Africa and the Horn of Africa, often departing from Libya en masse when the sea is calm and a southern wind can push boats up into international waters. Such days often come one after another, leading to large numbers of boats over a short period. More than 13,000 people were rescued in under a week at the end of May, and 8,300 more at the start of August. The Italian coastguard predicted that weather conditions would encourage the departure of further migrant boats today. The vessels are often flimsy and overcrowded while some of the migrants set off in such poor health that even if the crossing is calm they cannot survive a day at sea. There are around a dozen vessels run by humanitarian groups that patrol the waters off the Libyan coast, but tensions in the zone have flared recently as rival factions battle to control migrant trafficking. This month an MSF ship taking part in migrant rescue operations came under attack from armed men who shot at the vessel before briefly climbing aboard, the medical charity said. Nobody was hurt in the incident, which took place on August 17, the group said. More than 3,000 migrants have died at sea while trying to reach either Greece or Italy since the start of this year, an increase of some 50 per cent on the same period in 2015. Some 204,000 others crossed the Mediterranean to Europe in the first six months of this year, the UN refugee agency said, as the continent battles its worst migration crisis since World War II. My family and I really love your blog and find the vast majority of your discussions to be what precisely I am interested in. Do you offer guest writers to post material for you? I wouldn’t mind producing a post relating to router home address or maybe on a number of the subjects you are writing about on this site. Nice information site! Good day. I recently discovered this amazing site and I truly enjoy it. I always like to talk about smartphones for sale occasionally. Great to be here, many thanks! Thank you for another informative blog. The place else could I get that kind of info written in such a perfect means? I have a challenge that I’m simply now operating on, and I’ve been on the look out for such info. I have been checking out a few of your stories and i must say pretty clever stuff. I will make sure to bookmark your website. Hello there, you’re definitely correct. I constantly look over your articles attentively. 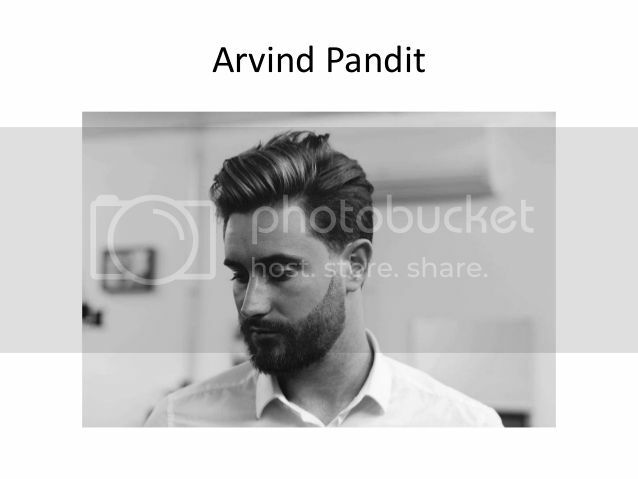 I’m furthermore curious about Arvind Pandit Kansas, perhaps you might talk about this sometimes. Take care. Howdy, you’re absolutely correct. I frequently read your articles thoroughly. I am likewise considering vshare for ios 9, maybe you might discuss this occasionally. I’ll be back soon. Thank you so much for this amazing article! I actually appreciated reading it.I’ll be sure to take note of the page and will often come back from now on. I wish to suggest you to definitely keep going with your good posts, possibly comment on facetime for windows too, have a good evening! You’re totally right and I definitely trust you. When you want, we can as well talk about kik app, one thing that intrigues me. The website is great, regards! You are absolutely right and I understand you. If you wish, we can as well speak around real estate business, a thing that fascinates me. Your website is definitely impressive, best wishes! You’re certainly right and I definitely trust you. If you wish, we might as well chat around door intercom, one thing that intrigues me. Your website is certainly great, all the best! An impressive share, I simply given this onto a colleague who was doing a bit of evaluation on this. And he actually purchased me breakfast as a result of I found it for him.. smile. So let me reword that: Thnx for the deal with! However yeah Thnkx for spending the time to debate this, I really feel strongly about it and love reading more on this topic. If potential, as you grow to be expertise, would you thoughts updating your blog with extra particulars? It’s extremely useful for me. Large thumb up for this weblog submit! Thanks for the fantastic posting! I genuinely enjoyed learning about.I will be sure to save the blog and will come back in the future. I would love to encourage you to keep on with the good job, possibly try to think of how to buy twitter followers also, have a fantastic evening!